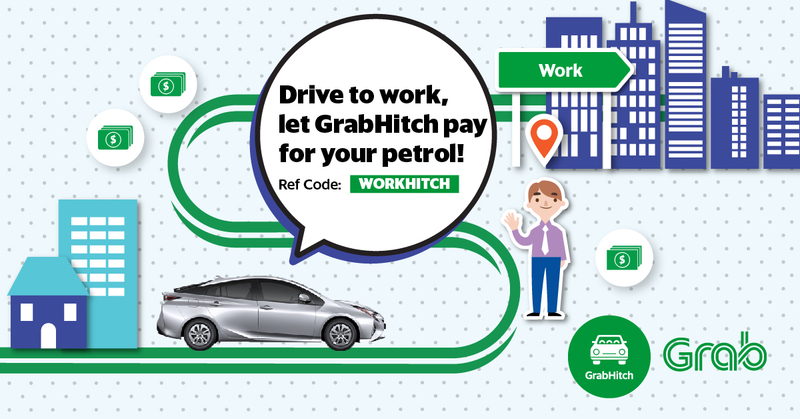 Let GrabHitch pay for your petrol! An average Hitch Driver saves 58% on petrol, just by picking someone up along the way! Hitching is easy, convenient and hassle-free, choosing who and when to hitch someone is entirely up to you. If are rushing for a meeting today, hitch another time. There are no prior commitments nor documentations necessary, so you don’t have to feel obliged if you cannot hitch regularly! And the best part .. you get to keep the entire fare for the trip! From now till the 30th September 2017, get $20 credit when you sign up and complete your first ride as a GrabHitch driver with referral code WORKHITCH! Finding a match has never been easier. In the event of an unfortunate accident during a Hitch ride, your personal private motor insurance should usually cover the costs incurred from the accident. Specifically, four major insurers (Income, AIG, MSIG and Aviva) have confirmed that they will cover GrabHitch rides, provided you abide by LTA’s carpooling regulations of not more than 2 carpooling trips a day. In rare cases where your private motor insurance does not pay out (e.g. passenger gets hurt by sudden braking but there was no accident), Grab has also recently extended our Group Personal Accident Insurance (PAI) to paying GrabHitch riders in Singapore at no additional cost. The PAI for GrabHitch riders is Singapore’s first insurance that not only covers accidental death but also medical expenses that are incurred in the event of an accident on social carpool rides. This means reduced risk for drivers! If you are an existing GrabHitch Driver, spread the love! Get $20 for every friend you refer to sign up as drivers! 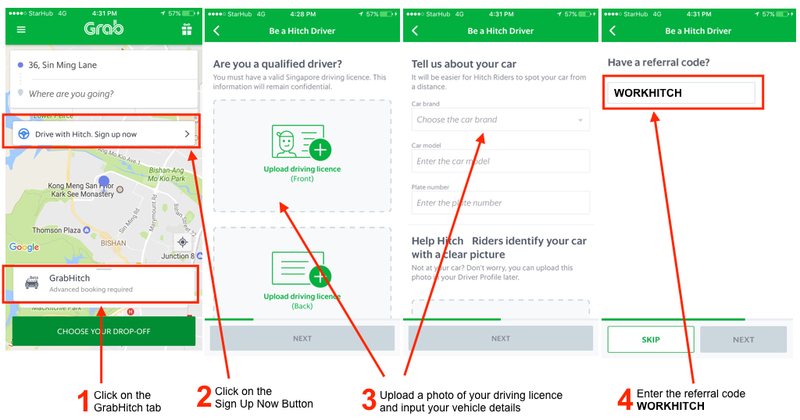 Find out more about our GrabHitch Driver Referral: here! This incentive is only eligible for new drivers who sign up and successfully complete 1 Hitch ride as a driver between 23rd August 2017 @ 00:00 hours – 30th September 2017 @ 23:59 hours. New drivers must sign up with the referral code WORKHITCH in order to qualify for the $20 credit incentive. The processing of the $20 credit into your GrabHitch driver wallet will only be conducted after the incentive period has ended (post-30th September 2017).